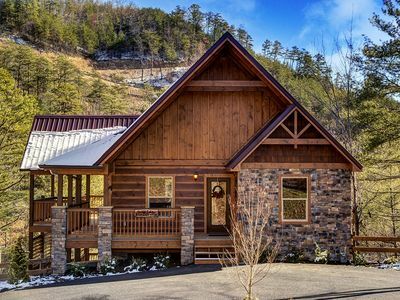 “Endless View” is the perfect name for this unique log cabin home. 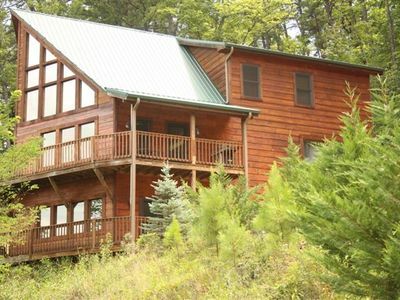 "Endless View" is the perfect name for this unique log cabin because of the breathtaking panoramic views from each of the 3 decks. 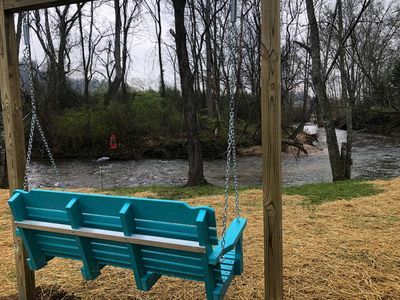 Located approximately 10 minutes from Townsend, 20 minutes from Pigeon Forge, Dollywood, Dollywood Splash Country, and 30 minutes from Gatlinburg. 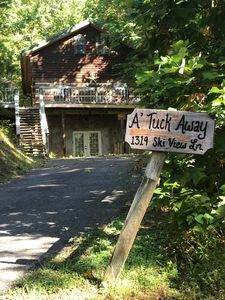 The roads are paved all the way to the cabin with some curves at times and inclines to reach the cabin and would be considered motorcycle friendly only at the rider's discretion and has parking for 2 vehicles. 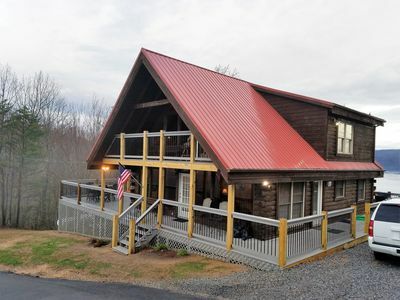 This 2 bedroom 3 bathroom cabin is 3 levels and will sleep 8. 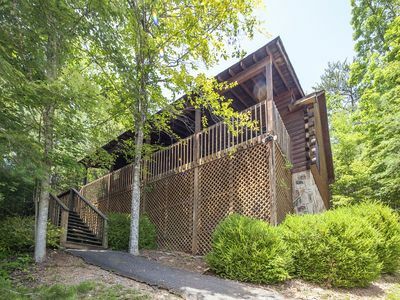 Each level offers its own deck and rocking chairs for endless viewing of the mountains. With only 4 steps to enter the cabin, just be ready to be amazed by all the wood interior and all the windows to admire the amazing views. 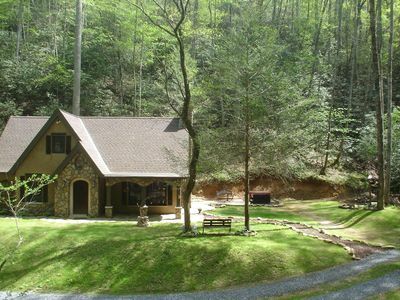 On the main level, you will find a fully equipped kitchen and dining for 6. 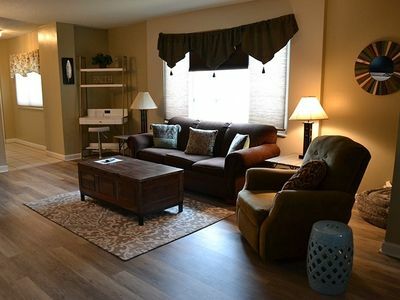 Off the kitchen is the spacious living room where you can sit and relax on the sofa sleeper while watching the Flat screen TV or just admiring the views of the mountains from all the windows. On those cold winter days, grab a soft blanket and curl up in front of the stone electric fireplace. There is a King size bedroom with a Flat screen TV and private bath with a tub/shower combination just off the living room. 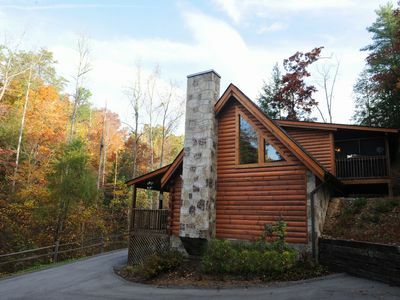 In the upper-level loft area, there is a King size bedroom and a Flat screen TV. 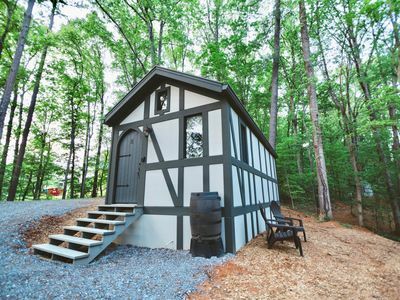 A private bath with a walk-in shower and a soaking tub. There is also an additional loft with a wooden ladder that leads up to a little alcove and large body pillows, perfect for children to play or relax. After a long day relax, unwind and take in the views of the mountains in the bubbly hot tub which is located on the upper-level deck. 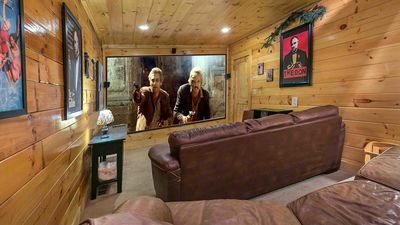 On the lower level, you will find the game room with a pool table, an air hockey table, and foosball table, along with a mini fridge and popcorn machine. You will also find a Queen sleeper sofa and a Flat screen TV. There is a full bathroom with a tub/shower combination located on this level. 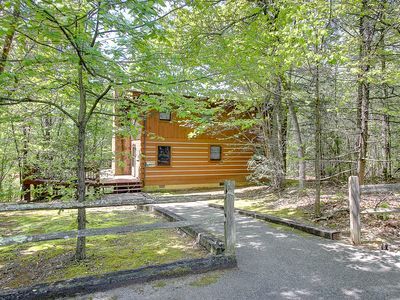 If you are looking for unbelievable views and conveniently close to everything you could ever want to experience, then "Endless View" is the perfect cabin for you. 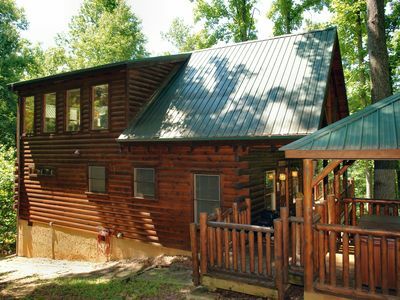 This gorgeous cabin offers pool access and catch and release fishing pond access at Honeysuckle Meadows Deli and Pool, which is approximately 5 minutes from the cabin, for those days you just want to relax and let the kids play in the pool or go fishing in the catch and release pond, just bring your rod and reel, then you will be all set. 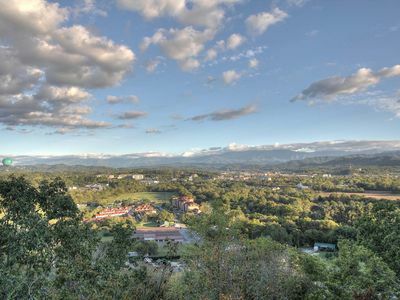 "Endless View" provides one of the best views around. 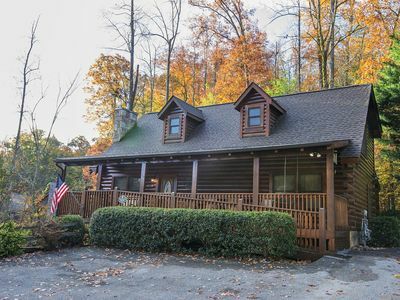 If you are wanting to get away from the hustle and bustle of everyday life and want to see "God's country", then book this cabin today for your next mountain vacation. What are you waiting for? Book "Endless View" today!!! 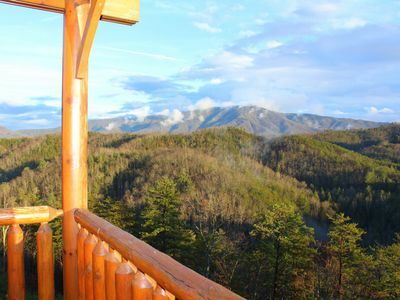 Smoky Mountain Lights features jaw-dropping views over Pigeon Forge and the Smokies. 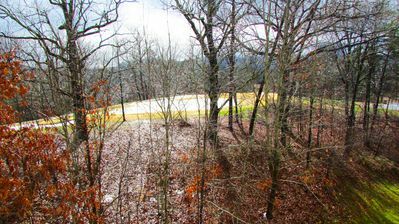 ER10 - Mountain Heaven | Great location - Close to town! 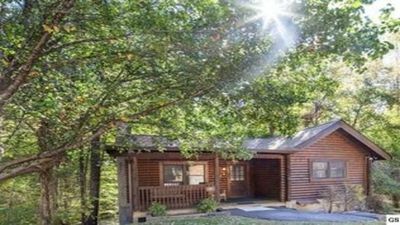 ER 227 – Bearry Nice | Great Location – Close to town! 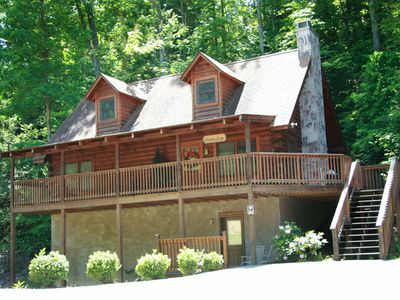 Private cabin w/ Pool Table & Hot Tub! 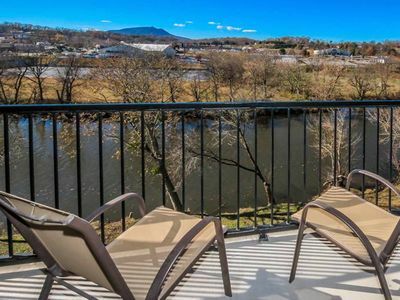 Close to On Site Amenities: Pool, Putt Putt, Fishing & more! PATRIOT DREAM/MOUNTAIN SPLENDOR. 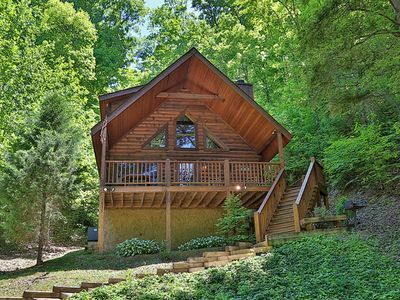 STUNNING GETAWAY W/MILITARY & 1ST RESPOND DISC.